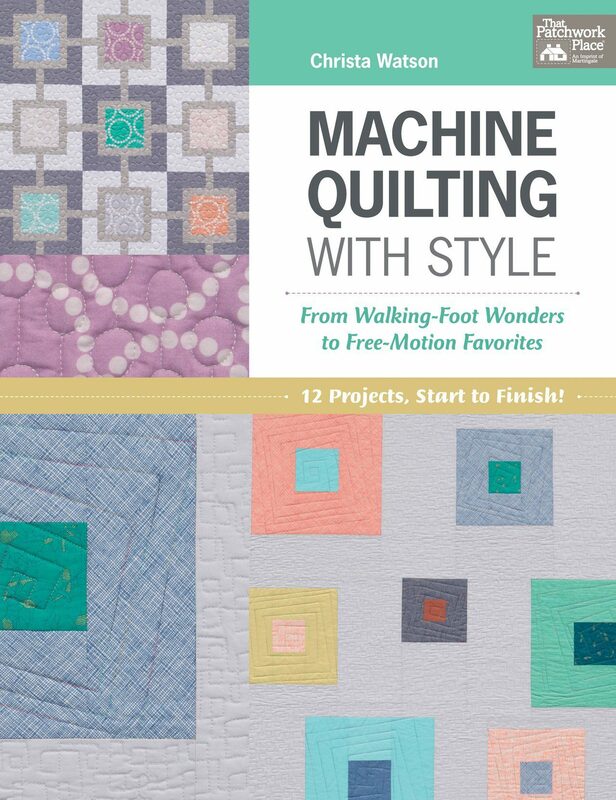 Machine Quilting With Style - Add This To Your Library! Machine Quilting With Style – Add This To Your Library! Whether you’re looking to master free-motion techniques or simply want to expand your pattern collection, there’s one book that you need to have in your collection: Machine Quilting with Style: From Walking-foot Wonders to Free-motion. Written by Christa Watson, this book offers 8 walking-foot designs, 10 free-motion motifs and 12 patterns for a complete guide on mastering quilting techniques. Is this book worthy of a spot your collection? Let’s find out! Whether you’re a beginner or a seasoned pro, you’re sure to learn at least a few new tricks from this book. 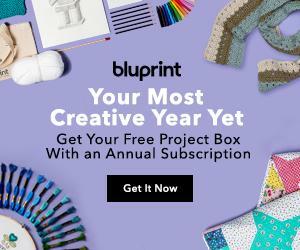 With a great collection of patterns, motifs and designs, you’ll put all your quilting techniques to use, and gain the confidence you need to master more challenging projects. If you’re like me, you’re probably apprehensive about trying free-motion techniques. Christa’s encouraging tone and thorough instructions give you the confidence you need to jump right in and get started. Christa starts off simple by showing you how to do stipples. As you master this technique, you can move on to boxes, wandering waves, loops, pebbles and more. If you really love the look of free-motion quilts but aren’t sure where start, this book will guide you in the right direction. For many quilters, machine quilting is not their strong suit. That’s where this book comes in. It’s written in a user-friendly way, and Christa uses an encouraging tone to help you understand the ins and outs of machine quilting. Just about everything you could possibly want or need to know about machine quilting is covered in this book. Once you read through the helpful and encouraging introduction, Christa takes you through some useful tips and tricks that will help you get started on the right foot. Christa also goes on to explain the different types of stitches and all of the possible configurations for each one. This includes ripples, lines and swirls. All the while, Christa explains everything in a way that’s easy to understand. Whether you’re just beginning or have been quilting for years, you’ll benefit from this section’s helpful tips and tricks. Christa’s tips are scattered throughout the book, so you’ll learn something new as your journey through each section and page. From choosing thread colors to learning how to create better spirals, the author has tips for just about everything. Honestly, you’d be hard-pressed to find another quilting book that offers such a wealth of helpful information. While Christa offers plenty of great tips and tricks, the majority of the book is comprised of beautiful patterns that you can follow along with using your machine. Inside, you’ll find 8 walking-foot designs, including Little Man’s Fancy, Ripples, Color Crystals, Rain, Square in a Square, Static, and Focal Point. 10 free-motion motifs are also included, such as: Pearl Gray, Facets, Lightning, Broken V, and Candy Pop. All patterns, designs and motifs are easy to follow, and Christa explains everything in a gentle, encouraging way. One important thing that Christa emphasizes in this book is to take your time. There’s no need to rush the process. She explains the importance of taking your time when practicing on sandwich quilts and enjoying the process. In other words, don’t rush to meet the finish line. That’s an important lesson for all quilters to learn whether they’re a beginner or an experienced professional. If you rush through the process, the end result may not be what you had in mind. Machine Quilting with Style is, without a doubt, a skill building book that will give you the confidence and the know-how to create your own machine quilts with ease. Ultimately, that’s what makes this book so helpful and worthy of a spot in your collection. Rather than just offering you a book of piecing patterns or quilting designs, Christa walks you through the entire process start to finish. I only found one drawback, okay, technically this is not a drawback, but more of a personal preference. I would have loved to see more patterns and designs simply because I love Christa’s work. It was nearly impossible to find something wrong with this book. It’s so easy to follow, and Christa includes a solid collection of designs and patterns. If you’re looking for a quilting book that will not only add to your collection of patterns and designs but also serve as a quilting guide, Machine Quilting with Style is the right choice for you. And if you’ve always wanted to try free-motion quilting but don’t know where to start, this book will give you the skill and know-how to get started right away. Our pleasure, thanks for visiting our site!